This pack is a great way to get some variety of your favorite pattern! 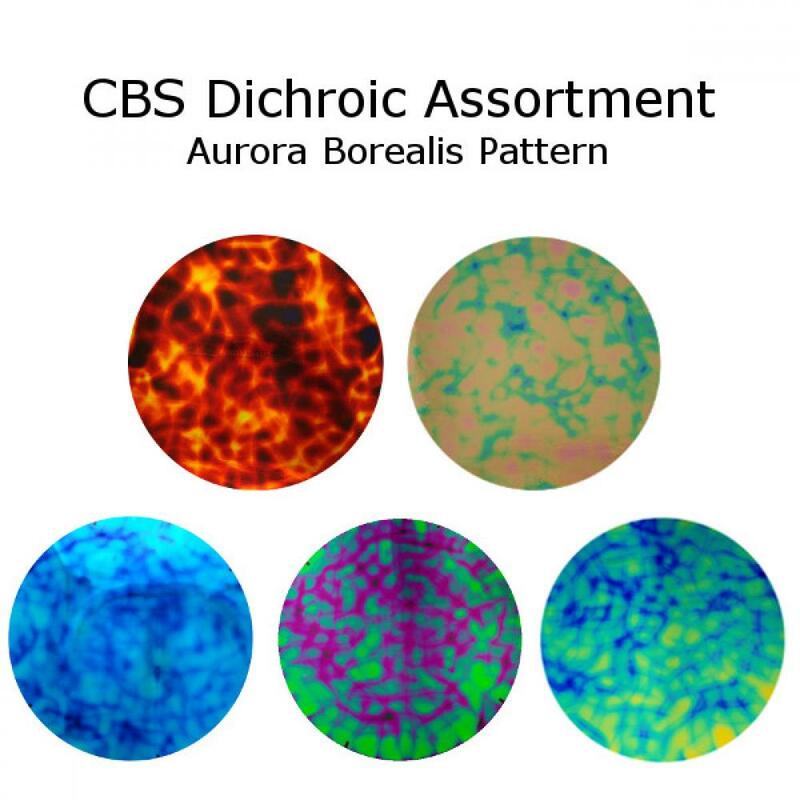 It contains 5 different pieces of CBS Dichroic's Aurora Borealis patterned glass. Choose from a variety of sizes on thin black glass.